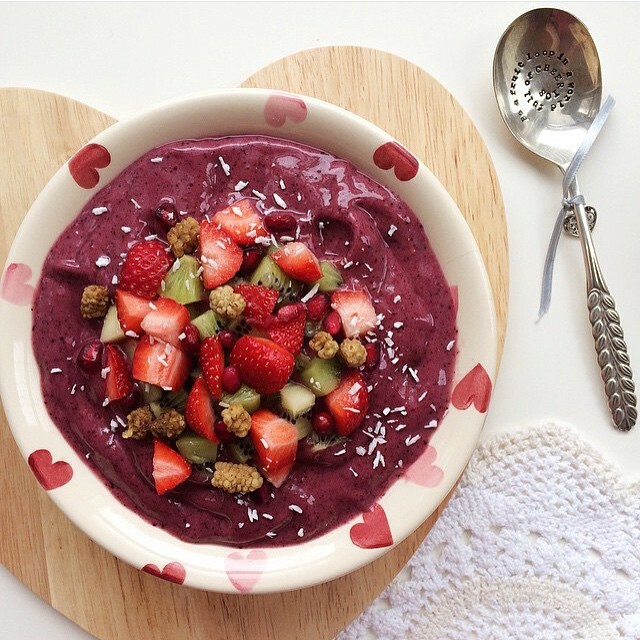 This acai and blueberry smoothie bowl is the perfect refreshment for a summer afternoon - acai berries contain heaps of antioxidants so the powder is a wonderful addition to smoothies if you're feeling in need of a nutrient boost. Plus it creates an absolutely gorgeous purple colour which is enhanced by the blueberries, and we all know that food is so much more fun to eat when it's super colourful! Simply put all the ingredients into a high-speed blender and blend until smooth - transfer the smoothie into a bowl or glass and enjoy!